Do you dream of making a music video for a chart-topping rock band? Well, thanks to Adobe those dreams can become a reality while winning a $25,000 grand prize in the process. 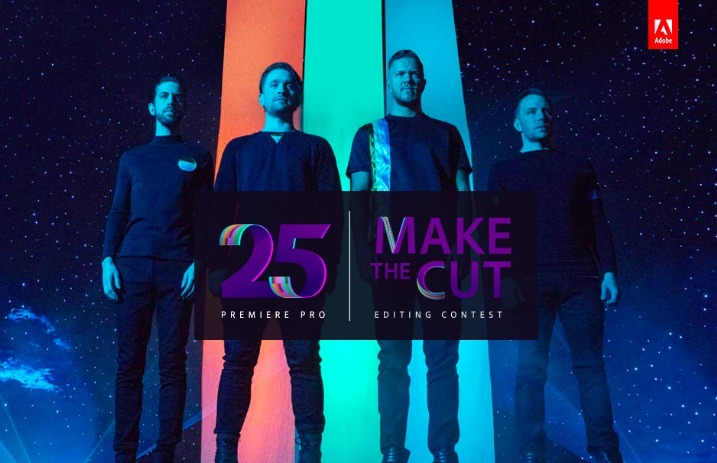 In celebration of Adobe Premiere Pro’s 25th Anniversary, Adobe is partnering with Imagine Dragons to launch the “Make The Cut” competition. This is the first-ever crowdsourced music video editing competition, and fans and aspiring producers around the world now have the chance to collaborate on a music video for the band’s new hit song “Believer” using Premiere Pro. 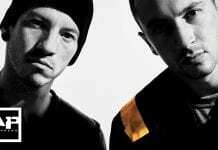 Here’s how the competition works: In an unprecedented move, Imagine Dragons will release exclusive uncut music video footage that aspiring editors will use to create their own music video. 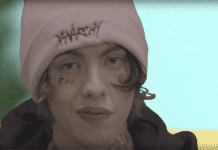 Once you sign up for the competition at makethecut.adobe.com, you will get access to the uncut footage from the official music video shoot for “Believer.” You can then edit your own original version of the music video in Adobe Premiere Pro. Once complete, you’ll upload your final project to the official Make The Cut website for judging. If you don’t already have a subscription to Adobe Creative Cloud or Adobe Premiere Pro, don’t worry. You can download a free 25-day trial of Premiere Pro that will last the length of the competition—March 14 to April 8. You have until 11:59 p.m. ET April 8 to submit your entry. 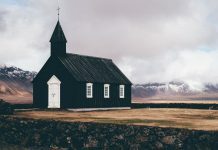 Best Use of Adobe Stock – This video had the most creative use of supplied Adobe Stock footage. The provided footage packet will include five Adobe Stock clips. Entrants are limited to using only the Adobe Stock footage provided for their submission. You are only required to use Adobe Stock footage if you would like to be considered in this category. Best Young Creator – The best up-and-coming editor under 25 years old. Most Unexpected – We have no idea what you’re thinking, but knock our socks off. Wow us. Fan Favorite – The most liked video by fans on the Adobe Creative Cloud channel on YouTube. The top 25 entries will be first featured in a playlist on the Adobe Creative Cloud YouTube Channel; the winner will be determined by the video with the highest number of “thumbs up” votes. Matt Eastin: Director and editor of Imagine Dragons’ “Believer” and accomplished music, TV and film editor who has worked with artists including Imagine Dragons, Neon Trees and Foster The People. Imagine Dragons: The band themselves—chart-topping rock artists and winners of American Music Awards, Billboard Music Awards and a Grammy. Kirk Baxter: Two-time Oscar-winning editor with film credits including Gone Girl, House Of Cards, and The Girl With The Dragon Tattoo. Billy Fox: Accomplished film and TV editor with credits including Straight Outta Compton, Band Of Brothers and Hustle & Flow. Vinnie Hobbs: Award-winning music video and film editor who has worked with artists including Kendrick Lamar, Britney Spears, Nicki Minaj, Big Sean, Drake, Kanye West and Skrillex. Ann Lewnes: Chief marketing officer at Adobe. Named one of the most innovative CMOs in the world by Business Insider and one of Ad Age’s Creativity 50. Angus Wall: Two-time Academy Award-winning editor with credits including The Girl With The Dragon Tattoo, The Social Network and Fight Club. The top 25 finalists will be announced on the Premiere Pro social channels and featured on both makethecut.adobe.com and the Adobe Creative Cloud YouTube Channel on April 12. The grand-prize winner, as well as the category winners, will be announced on the same platforms May 1. To learn more about the competition, check out the official rules at makethecut.adobe.com.